Your iPhone case says a lot about you—a Speck CandyShell, for example, tells the world that you’re fun, bright, and quirky-yet-practical when it comes to protection and usability. TwelveSouth’s BookBook, on the other hand, says you love books—even fake books. So, here’s the question: If your iPhone case is a window to your soul, do you really want to settle for something mass produced and inherently un-unique, when you could spring for a custom case? If the answer is no, you’re in luck: Thanks to a myriad of custom case-makers, personalized cases are relatively inexpensive and easy to come by. But you’re not looking for just any custom case—you want one that’s easy to make, attractive in build and print quality, and, of course, protective against drops and scratches. To help you find the perfect custom case-maker, I tested out several services from start to finish: I designed custom cases using the services’ online software, I tracked the time it took for the cases to be produced and shipped, and I used the cases on my own iPhone 6 to judge build quality, usability, and protection. While all of the services I tested were decent, there was a clear winner. Zazzle is an online retailer that specializes in producing custom printed products, such as iPhone cases, t-shirts, hats, stickers, and laptop bags. Zazzle doesn’t actually produce most of the products in its lineup—they’re imported from other brands (e.g. Case-Mate and Incipio) and simply printed by Zazzle. Zazzle won our custom case-maker roundup for several reasons: Its online building tool was intuitive and easy to use (if a bit sparse), it had a large selection of custom cases to choose from, and its printing quality was excellent. Although Zazzle's building tool lacks advanced features, you can import any design you've created in another program, and the print quality is awesome. Building tool: Zazzle’s building tool is simple and straightforward, but it doesn’t have quite as many features as some of the other tools I used did. There are no templates, for example, so any fancy designs you want to feature will have to be created in an external program like Adobe Photoshop. 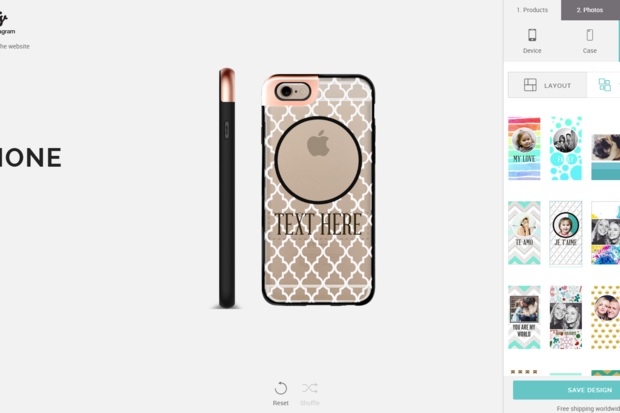 But if you’re just looking to add a photo, image, or some text to your case, Zazzle’s tool works nicely. The tool lets you add as many photos or images as you want to the case, and lets you resize them, center them, or size them to fit the available space (with cropping). There’s also an advanced option that lets you show whites as transparent, which is a great way to let the background case shine through (without having to upload a transparent PNG). Zazzle’s building tool may not have any templates, but it gives you the most freedom to play with your design and add as many elements as you want. Case selection: Of the services tested, Zazzle has the largest selection of case options, starting at $30 for a generic slim polycarbonate shell and going up to $55 for an Incipio Watson folio case. While most of the services tested offered three case options at most, Zazzle offers 15 options for the iPhone 6 and seven for the iPhone 6 Plus. There are plenty of different styles to suit your taste, including brushed aluminum, translucent plastic, and even wood. 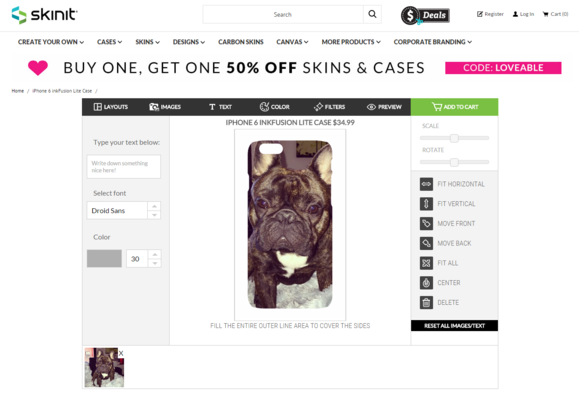 Zazzle’s choices open up your design options, because you can use the case backgrounds as part of your design. For one of my Zazzle cases, I uploaded a transparent PNG file of the Tokyo skyline against a gold brushed aluminum case. Quality: As I mentioned, Zazzle’s cases aren’t made by Zazzle, they’re made by big-name case-makers such as Case-Mate and Incipio. So the cases’ build quality is what you’d expect—sturdy, usable, and relatively easy to put on and take off. Zazzle’s printing quality is also excellent, though none of the case-makers tested were less than excellent in this category. 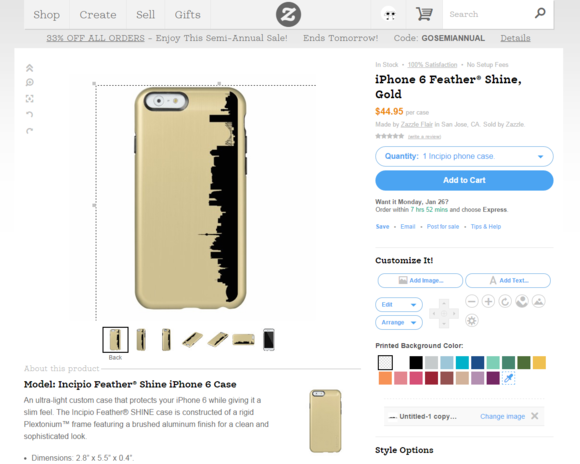 If you’re looking to design your own custom case, Zazzle is the best all-around case-maker, thanks to its easy-to-use building tool and impressive selection of case options. While Zazzle doesn’t offer any templates for complete design newbies, the website does have a design tutorial section where you can brush up on your design skills. Even with the lack of templates, Zazzle’s building tool is simple enough for beginners to figure out, but broad enough that it won’t limit the creativity of more advanced designers. 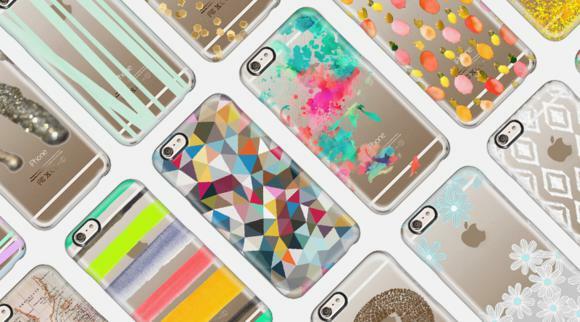 Casetify is a smartphone and tablet case-making website that specializes in transparent, or “shine through” case designs (which let your device “shine through”). The company designs and produces all of its cases, including their famous translucent polycarbonate classic snap shell. 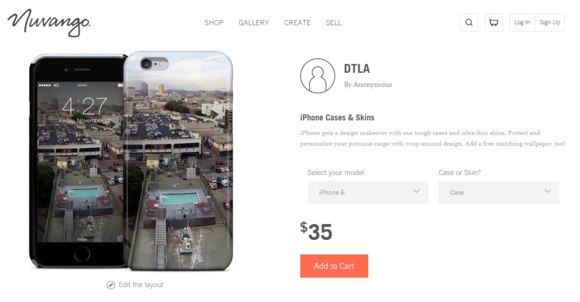 Casetify’s custom case-making service is not quite as broadly defined as Zazzle’s—Casetify started out as “Casetagram,” a service for creating custom cases using Instagram photos. Now, you can use any photo, image, or design you want, but their building tool still largely has the Instagram crowd in mind. Casetify offers three case options for both the iPhone 6 and the 6 Plus: A sheer polycarbonate shell ($40), a maple wood case ($45), and a bumper case with a sheer polycarbonate back plate and luxe metal accents ($50). The cases are all nicely made, but the polycarbonate shell case is a bit slim on protection for the price. It’s easy to snap on and take off (perhaps too easy), but it leaves the entire top and bottom of the phone exposed and doesn’t cover any of the buttons. If you’re looking for a custom case that offers decent protection, Case-Mate’s $25 Barely There shell makes more of an effort to cover the sides of your device. 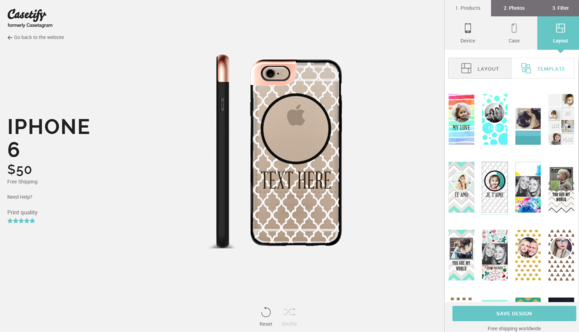 Casetify's building tool is perfect for beginning designers, but the case quality isn't up to Case-Mate's standards--which is what Zazzle offers. Casetify’s building tool is very different from Zazzle’s, and is better for design newbies who have no idea what they’re doing. The building tool has several layouts and templates to choose from, so you’ll be able to make a cool case even if you have no design background at all. The templates are for “shine through” cases, or cases where your iPhone can be seen through the design. One of the nicest features of Casetify’s building tool is that it lets you connect to social networks—namely, Facebook and Instagram—to grab photos. While it’s not particularly difficult to get those photos without a built-in tool, this is a convenient way to import a bunch of photos so you can fill in your chosen layout or template. Casetify also offers stamps (letters, numbers, emoji, animal prints) and filters, so it feels more like a fun photo editor than a design tool. 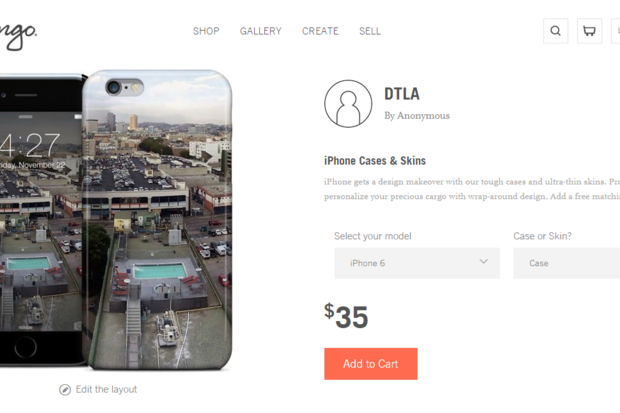 If you have no design experience at all, and you’re just looking to make a fun custom case with some photos from your Instagram account, Casetify is probably a better choice than Zazzle. Casetify’s building tool is certainly feature-rich, though the rigidity of the templates will frustrate more advanced designers. Nuvango: Nuvango, formerly GelaSkins, is an artist community that specializes in both protective cases and scratch-resistant skins for your devices. Nuvango offers only one custom case option—a slim $35 polycarbonate shell designed and produced by the company. The shell protects your phone on three sides and has cutouts for the buttons and switches, but those cutouts are very slim. I found myself having to use my fingernails to press my iPhone 6’s volume buttons when I had the Nuvango case on, which is not exactly convenient. To make a case with Nuvango, you have to own the right to the design or image. Nuvango’s building tool is extremely simple, and you’re only allowed to use one photo at a time—and that photo must be a photo you have the rights to use. Most of the case-making services hope that you’re only using your own artwork, but Nuvango, being an artist collective first and foremost, asks you to check a box saying your image complies with the company’s terms of service (which includes no fan art, not even fan art you created). Nuvango’s tool lets you resize, rotate, and move the image, and it also lets you choose the background color of the case—but that’s it. While it may seem like I’m not making a great case for Nuvango, it’s still a service worth checking out if you’re an artist. Printing quality is excellent, and each case comes with digital wallpaper for your device and a protective felt pouch. SkinIt: SkinIt also makes its own custom cases at a very affordable price point—$30 for a black-bordered “Cargo” case, $35 for an inkFusion Lite case (polycarbonate shell), and $40 for an inkFusion Pro case (polycarbonate shell with button protection). SkinIt has a very easy-to-use building tool that lets you upload photos from all over the web, including Facebook, Instagram, and Flickr. The tool has a lot of features, including the ability to add text, change the background color of your case, and apply filters to your images. You can also move, scale, rotate, and quick fit your pictures, and move images forward and back (if you have multiple images). It’s a great tool for non-designers, but designers will still find it straightforward and easy to use. SkinIt's cases are affordable, yet not the best quality. This would be a good pick if you swap cases frequently. SkinIt is a good choice if you’re not too picky about case quality—while SkinIt’s cases are acceptable, they’re not as meticulously designed as Casetify’s or some of the premium options on Zazzle. Picture It On Canvas: Picture It On Canvas offers printing on Case-Mate cases, starting at $65 for a Case-Mate Barely There polycarbonate shell for the iPhone 6, and going up to $75 for the Case-Mate Tough Xtreme three-layer bumper case. If you’re looking at price alone, Zazzle offers the exact same cases for about half the price (the Barely There costs $40). If you’re not only a design newbie, but also a tech-newbie—or if you want some professional touch-ups performed on your picture before it prints—PIOC may be the right case-maker for you. Like Zazzle, Picture It On Canvas uses Case-Mate cases, but is a bit more expensive. PIOC’s building tool is extremely simple—all you can really do is move and resize one image. But once you’re done placing your image on the case, you can ask PIOC to perform finishing touches on your picture (for a price, of course). “Beautify My Photo” costs $30 and involves removing stray hairs, whitening teeth, and removing sun glare. “Restore Damaged Photo” costs $100 and includes dust/scratch repair, fixing color, or fixing water damage. Unfortunately, PIOC also charges for less impressive fixes—it’ll cost $15 to make your photo black and white or sepia, and it’ll cost $15 to add text to your photo. PIOC is really only a good choice if you need a lot of design help (the order form has a text box where you can make notes to the design team), or if you have an old photo that you want professionally restored. Case-Mate: You’ll find a lot of Case-Mate’s custom cases being printed by other companies—both Zazzle and PIOC offer Case-Mate cases. But you can also go straight to the source and get a custom Case-Mate two-piece Tough Case from Case-Mate’s website for $45. ...or you could go straight to the source and order directly through Case-Mate. 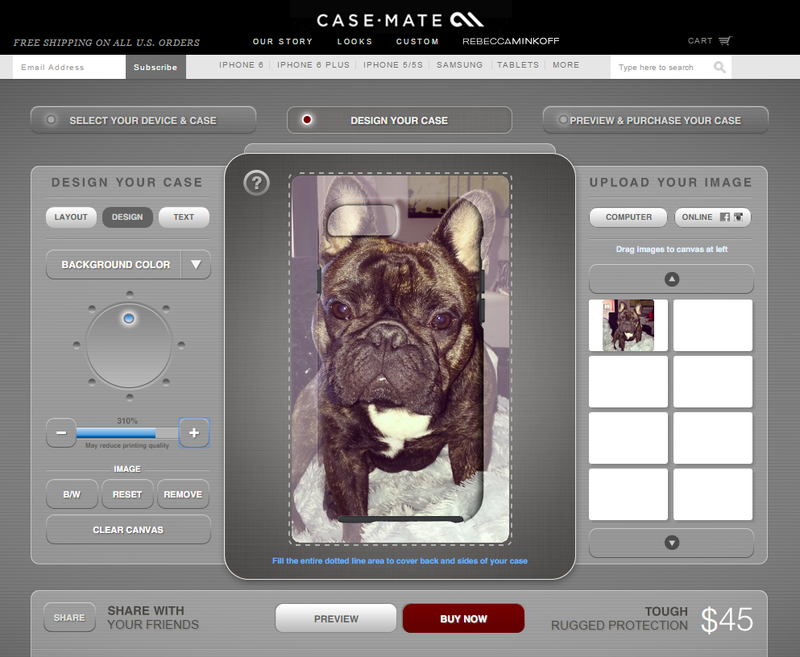 Case-Mate’s building tool is feature-rich, but unfortunately a little buggy. Like Casetify’s tool, it offers several layouts, including a single-image layout for people who want to design their case in another program. It also lets you upload photos from Facebook and Instagram, although I found the Facebook upload tool to be buggy (only the first 50 photos in any album would load). The tool lets you resize, rotate, move, and de-saturate your image, and you can also choose the case’s background color from 11 presets and add text. If you’re looking for a building tool that’s a little more amenable to beginners (even with the bugs) than Zazzle’s—and you really want a Case-Mate case—then you’ll want to check out Case-Mate’s custom service. But if you’re not set on a Case-Mate case, Casetify’s building tool has the upper hand.